The Go Direct Access range of A-Frame Fibreglass or GRP Stepladders is ideally suited to electricians & tradesmen. They are manufactured using Fibreglass which makes them ideal for use in high risk work environments, especially where there is a risk of electrical currents. What is Fibreglass or (GRP) glass-reinforced plastic? Fibreglass is a robust, man-made material that does not conduct electricity. 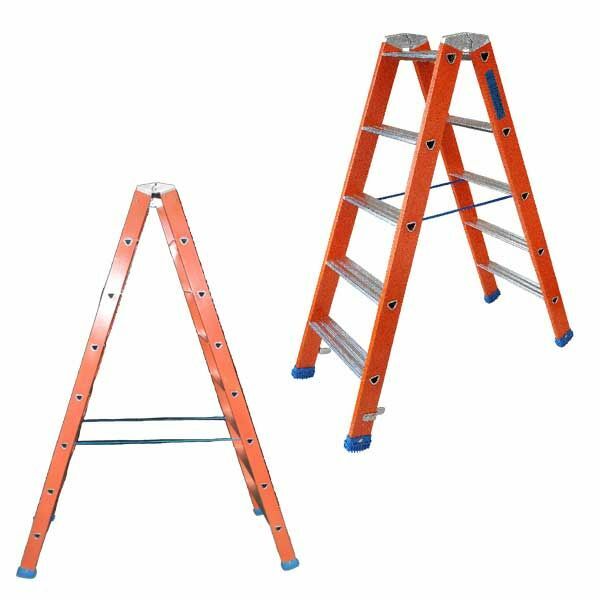 This means that it is safer to work with electricity using a fibreglass stepladder compared with using an aluminium or wooden ladder. 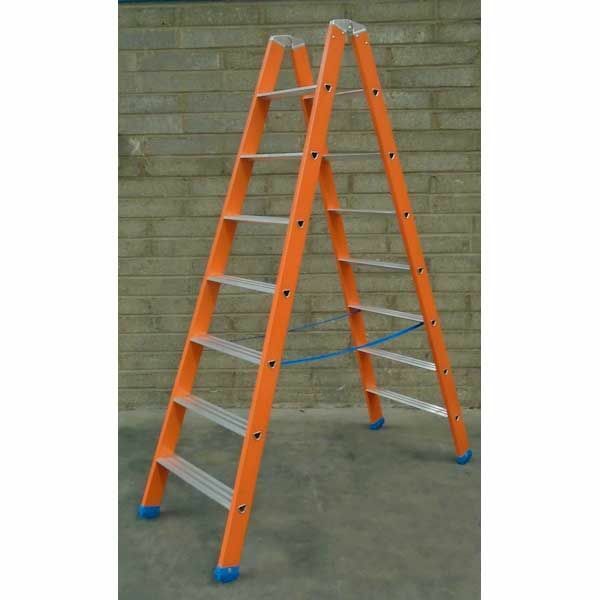 Fibreglass is a strong lightweight , non-conducting material that will help your stepladder last. Fiberglass reinforced plastic is one of the strongest light weight most durable materials in the world. Our A-Frame Fiberglass Stepladders are very lightweight and strong and are designed with safety in mind and adhere to EN131 safety standards. They also have been designed with a wide step to reduce fatigue.